What's this? A review of a $3000 moving-coil step-up transformer in this digital day and age? Yep. 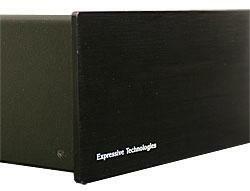 Although the market for such a product is small, the fact that the Expressive Technologies SU-1 step-up transformer enters previously uncharted state-of-the-art territory warrants these pages of editorial space. Furthermore, LP playback appears to be alive and well at the upper end of the high-end spectrum, a market segment addressed by the SU-1 (footnote 1). The idea of mating a dynamic woofer to a ribbon midrange/tweeter is appealing on paper. Such a "hybrid" loudspeaker would have the many advantages of a dipole ribbon transducer, yet be more practical and affordable than full-range ribbon designs. Among the ribbon's great strengths is its narrow vertical dispersion (reducing the ceiling and floor reflections), contributing to the ribbon driver's well-deserved reputation for transparency, terrific soundstaging, transient zip, and excellent resolution of detail. By adding a dynamic woofer to a ribbon midrange/tweeter, the system cost can be contained compared to a full-range design. During the late 1970s and early '80s, I worked my way through college by selling hi-fi, or more precisely, mid-fi. During those years, I heard and sold several hundred different loudspeakers costing under $1000/pair. Despite the fact that I experienced them under less than ideal conditions, I was nevertheless able to get a feel for their relative performance. When switching between speakers, the differences between them were drastically juxtaposed. No two loudspeakers sounded even remotely similar tonally, indicating that they all had severe colorations. "You've set the audio industry back 20 years!" 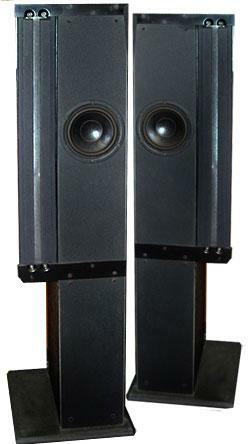 To many audiophiles, the name Boston Acoustics is synonymous with mass-market budget loudspeakers. Although many of its products have offered good value for the money, Boston Acoustics has never been known for driving the envelope of high-priced loudspeaker design (footnote 1). The company has been content to churn out well-designed, affordable boxes and let others attempt state-of-the-art loudspeakers. Until now. The acoustic environment for music reproduction is easily the most overlooked source of sonic degradation. Many fine playback systems are compromised by room-induced anomalies that severely color the reproduced sound. When we live in a world of directional wire, high-end AC power cords, and $4000 CD transports, paying attention to the listening room's contribution to the musical experience takes on greater urgency. The announcement in October 1995 of the Digital Versatile Disc (DVD) set the hearts of audiophiles and music lovers pounding. Although primarily a digital video and computer-data storage format, DVD's massive capacity could be applied to a "super CD" audio-only disc. Finally we would be liberated from the musical limitations of the CD's 16-bit word length, 44.1kHz sampling rate, and two-channel format. We were tantalized by reports of 96kHz sampling rate, 24-bit word length, and multichannel playback. Digital redemption appeared to be just around the corner. "If the midrange isn't right, nothing else matters." Stereophile founder J. Gordon Holt's decades-old observation of the musical importance of the midrange has become a truism cast in stone. Gordon's other famous observation, "The better the sound, the worse the measurements," was made only partially in jest. Just about everyone knows that a new high-quality digital audio disc, called DVD, is being developed by the world's electronics giants. What few realize, however, is how politics and corporate politics influenced the format's technical specifications. The result may be unnecessary sonic degradation for millions of music listeners. In some ways, building an inexpensive yet musical two-way loudspeaker is a greater design challenge than creating a cost-no-object reference product. Although the latter is a much more complex endeavor, the venerable two-way box seems to bring out the creativity and resources of the designer. Rather than throw money at the product in the form of more expensive drivers, enclosures, or components, the designer of a low-cost two-way is forced to go back to the basics, rethink closely-held tenets, and rely on ingenuity and sheer talent to squeeze the most music from a given cost. Consequently, the inexpensive two-way is the perfect vehicle for designers to develop their skills. If one has mastered this art form, one is much more likely to achieve success when more ambitious designs are attempted.